After 20 years of foolish decisions, the disastrous monarch Edward II was deposed in 1327 by his queen, Isabella, and her lover, Roger Mortimer. Visitors to Berkeley Castle in Gloucestershire can still see the dungeon where Edward died in what one historian has described as a “suspiciously timely” manner. Although the official account said that Edward had died of natural causes, many theories abound as to how he may have been murdered, including death by the intimate administration of a red-hot poker or, as the 16th-century playwright Christopher Marlowe had it, by being forced to lie on a bed while his executioners put a table on top of him and stamped on it. Isabella and Roger briefly controlled the kingdom in the name of her teenage son, now Edward III, but the young Edward soon decided to take power into his own hands. 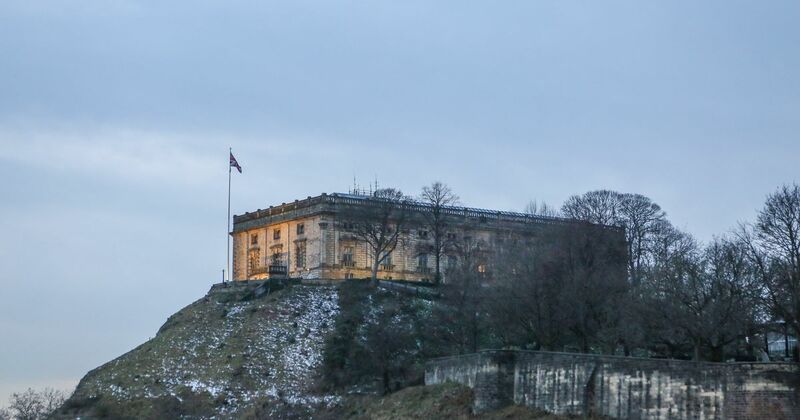 On 19 October 1330, still a month short of his 18th birthday, the king launched a dramatic coup against Isabella and Roger at Nottingham Castle. He took his mother and her lover prisoner and hauled Mortimer off to the Tower of London. On 29 November, after a token trial, Roger was hanged ignominiously at Tyburn. Hanging was, at this time, the form of capital punishment used to punish common criminals. Given Mortimer’s rank, it would have been more respectful to have beheaded him on Tower Hill. Mortimer’s ghost supposedly made its way back to Nottingham and it is said that the apparition can sometimes be seen in one of the man-made caves in the labyrinth under the castle. If you stop for a drink at the Ye Olde Trip to Jerusalem, the centuries-old pub set among the caves, you may just see him. Widely recognised as the home of William Shakespeare’s Scottish nobleman Macbeth, Glamis is now better known as the childhood home of the late Queen Elizabeth, the Queen Mother; and as the birthplace of the late Princess Margaret in 1930. It is also said to be the most-haunted castle in Scotland. One of its most appealing ghosts is a mischievous pageboy. The story goes that this naughty boy was frequently punished by being told to sit on a stone seat just outside the room that is now styled as the Queen Mother’s sitting room. One freezing cold night, everyone went to bed and forgot about him. The pageboy, doing what he was told for once, obediently sat there all night and froze to death. Today, visitors still occasionally trip over as they enter this room, supposedly because the boy sticks out his foot as they pass by. It’s tempting to imagine he sticks out his tongue, too. The nearest Glamis has to a royal ghost, though, is the so-called Lady in Grey, Janet Douglas (c1498–1537), who was widow of the sixth Lord Glamis. Douglas’s clan had a long-running feud with the royal Stuarts and, in order to be avenged on the family and claim Glamis for himself, in 1537 James V accused Janet of witchcraft and put her on trial in Edinburgh. Even in the superstitious times of the 16th century, the charges were so obviously trumped up that there was rioting in the streets. But it made no difference: Janet was burned at the stake on Castle Hill in Edinburgh on 17 July 1537. 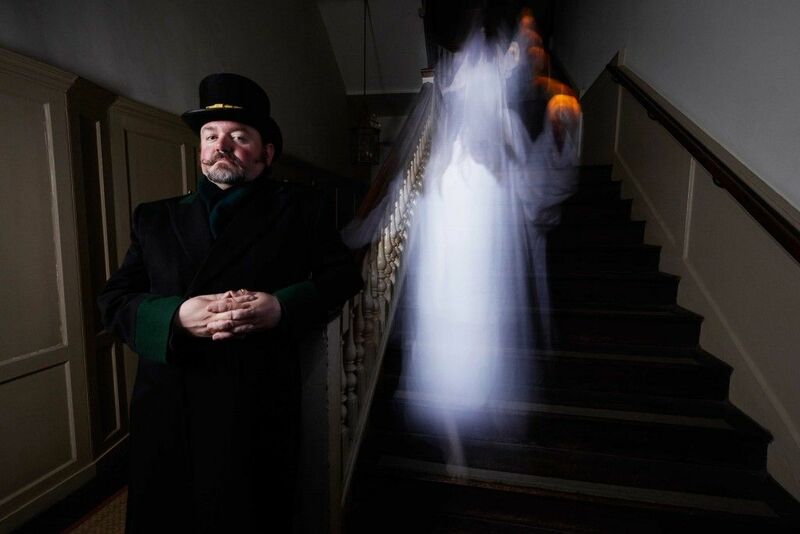 A National Trust poll once voted Blickling Hall the most haunted house in Britain. 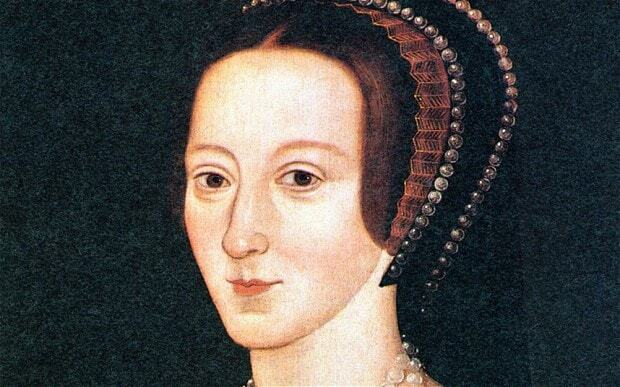 Its most popular ghost is that of Henry VIII’s second wife, Anne Boleyn. 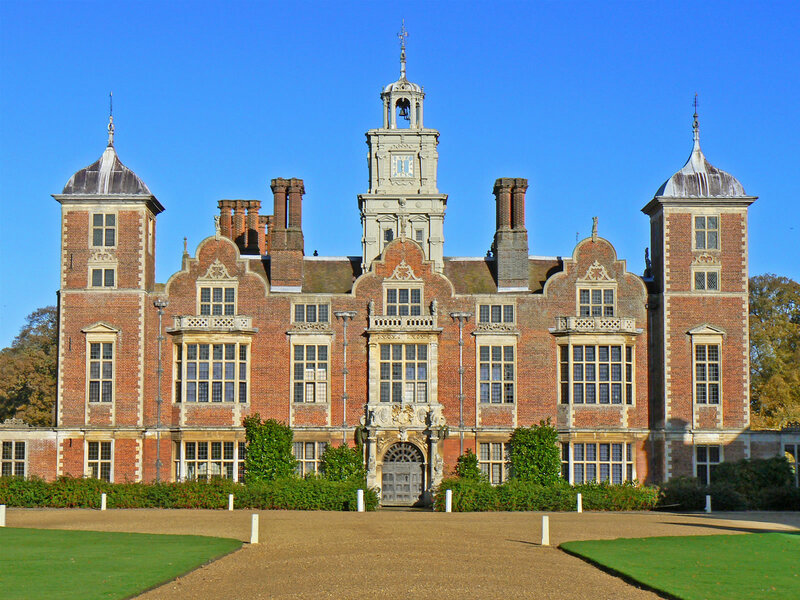 Anne may have been born at Blickling – there’s doubt over this because no one knows exactly when she was born. Her parents moved to Hever Castle in Kent (another site where her spirit is sometimes seen) in 1505, but it’s difficult to say if Anne was a toddler, a babe in arms or merely a twinkle in her father’s eye. Even if Anne was born at Blickling, she wasn’t born in the present hall: it is Jacobean, dating from 80 years after her death. But Anne’s ghost apparently doesn’t know (or care) about this – she is said to appear each year on the anniversary of Anne’s death, 19 May 1536, carrying her own severed head, in a coach driven by a headless coachman and drawn by four headless horses. You might also be able to catch a glimpse of Anne Boleyn’s spirit at the Tower of London. In 1864 it’s recorded that Anne was seen floating towards a guard in the courtyard, near the place in which she had been imprisoned before her execution. The guard, thinking he had surprised an intruder, charged her with his bayonet, which passed straight through her body. She’s also been seen in St Peter ad Vincula, the church within the tower’s precincts, walking up the aisle towards her own grave. One of the joys of Hampton Court is that it is two palaces for the price of one: there’s the Tudor construction and also the palace built by William and Mary two centuries later. So it’s fitting that you should also find there two royal ghosts. Two of Henry VIII’s wives are said to haunt Hampton Court – one of them more peacefully than the other. The wife said to have been Henry’s favourite – number three, Jane Seymour – died here in 1537, shortly after giving birth to the longed-for son, the future Edward VI. In Hampton Court’s Chapel Royal, you might start by admiring the exquisite ceiling, vaulted and painted in striking midnight blue with a repeating pattern of stars and the royal motto ‘Dieu et Mon Droit’ picked out in gold. Then if, having been dazzled by looking up, you care to look down, you can contemplate the peculiar rumour that Jane Seymour’s heart and other organs may be buried beneath the floor. The rest of her body is in St George’s Chapel, Windsor, where she lies next to her husband. She was the only one of Henry’s wives to be given a queen’s funeral. But Jane may not entirely have left Hampton Court. It is suggested that a ghostly lady in a long white gown has been seen carrying a lighted taper down the so-called Silver Stick Staircase and out into the Clock Court, and that she may be Henry VIII’s third queen. If it is indeed Jane, she isn’t alone in her wanderings. Tradition has it that Katherine Howard – wife number five – upon learning that she was to be charged with adultery, ran along the processional route that leads from Henry VIII’s quarters to the chapel, screaming and begging her husband for mercy. The royal guards seized her and forced her back to her own apartments. She never saw Henry again, but her ghost, still screaming, is regularly seen and heard in what is now called the Haunted Gallery. 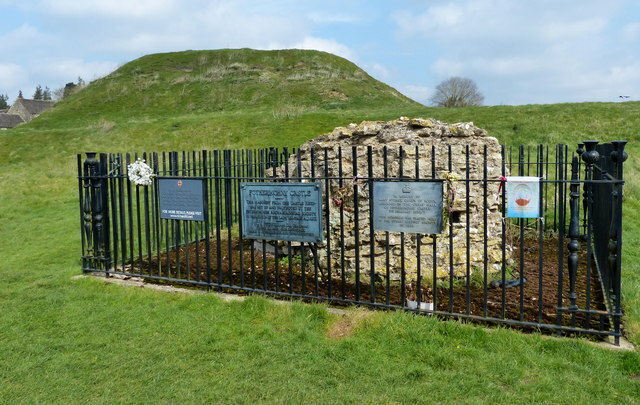 Fotheringhay Castle was the last of the many genteel prisons in which Mary, Queen of Scots spent the final 20 years of her life after she was forced to abdicate from the Scotland’s throne in 1567. Genteel it may have been – it had been a royal residence – but it was also remote, surrounded by marshland and difficult to escape or be rescued from. Those were important considerations: Mary was about to be tried for treason, after the discovery of the so-called Babington Plot had finally and firmly implicated her in a conspiracy to depose and murder Elizabeth I. 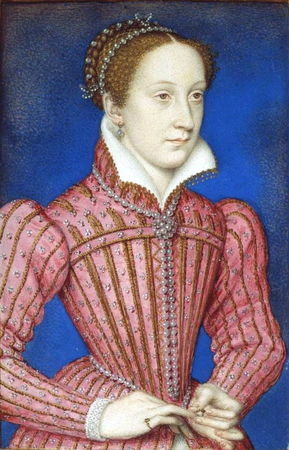 A portrait of Mary, Queen of Scots, a "charming and ill-fated woman brought down by forces beyond her control"
The outcome of Mary’s 1586 trial was a foregone conclusion, but it took Elizabeth several months to agree to sign the death warrant. Mary was not only an anointed queen, but Elizabeth’s own cousin: England’s queen couldn’t chop off Mary’s head without first giving it some thought. The inevitable happened, however, in February 1587. Several macabre legends surround Mary’s beheading, including that when the executioner held the severed head up by its hair to show onlookers that the job was done, it became apparent that the queen had worn a wig – the hair came away in the man’s hand and the head rolled away across the floor. Over the centuries, there has been a pattern at Fotheringhay of one generation spending vast sums doing up the castle, only to have the next generation neglect it, and the next be obliged to repair it again. The castle was allowed to fall into ruin after Mary’s death and was finally dismantled in the 1620s, when one of the huge windows from the Great Hall and the great oak staircase were transferred to the Talbot Inn [now Talbot Hotel] in Oundle, four miles away, where they can still be seen today. Mary walked down this staircase at Fotheringhay on her way to her execution and tradition has it that, despite the change of venue, her ghost can sometimes be seen descending its steps. 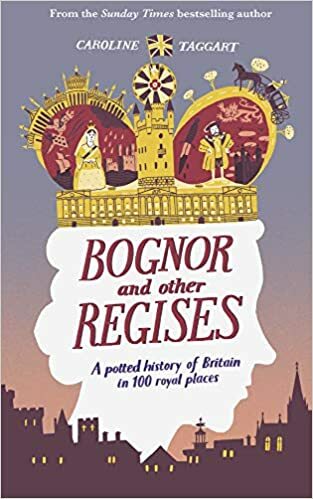 Caroline Taggart is the author of Bognor and Other Regises, “a potted history of Britain in 100 royal places” (AA Publishing, £14.99). Last edited by Blackleaf; Nov 25th, 2018 at 01:53 PM..